Visualize your online content and provide personalized information, services and applications to visitors to your web platforms. Put all content, services and applications together to form a unified web platform. Offer users a seamless user experience in design and handling. Deliver information, services and applications tailor-made directly to the appropriate target groups. The presentation of your online content reacts dynamically and personalized to the actions of the visitors. Take advantage of the proven web technologies Java or PHP. Complement these with the front-end technology of your choice and make your web platforms technologically independent and flexible. 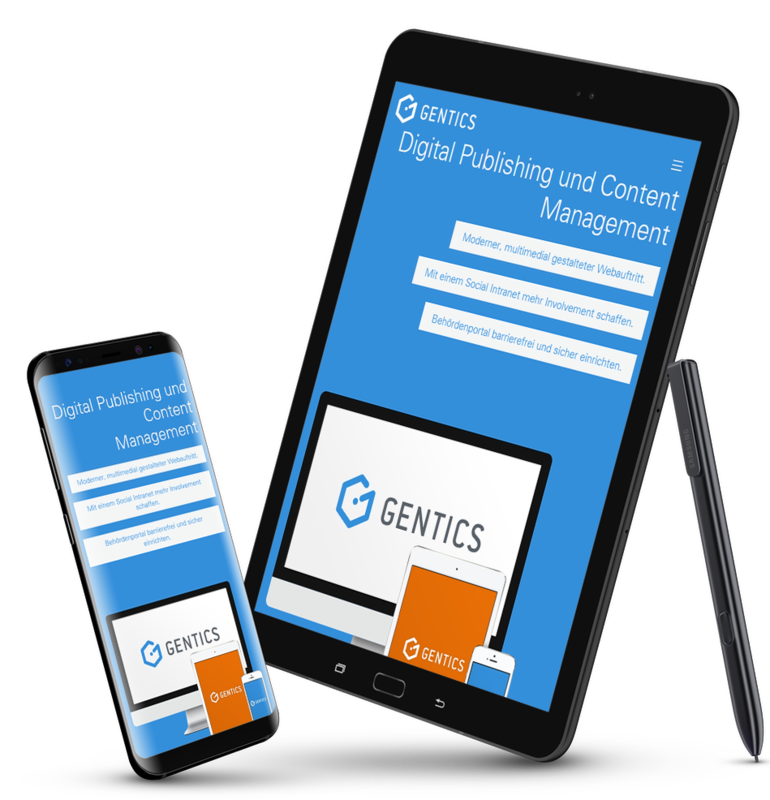 Gentics Portal is part of the Gentics content management platform and enables personalized and dynamic intranet solutions as well as corporate websites. All content stored in the Gentics Mesh Repository - whether created in Gentics CMS or delivered from third-party sources - can be displayed. 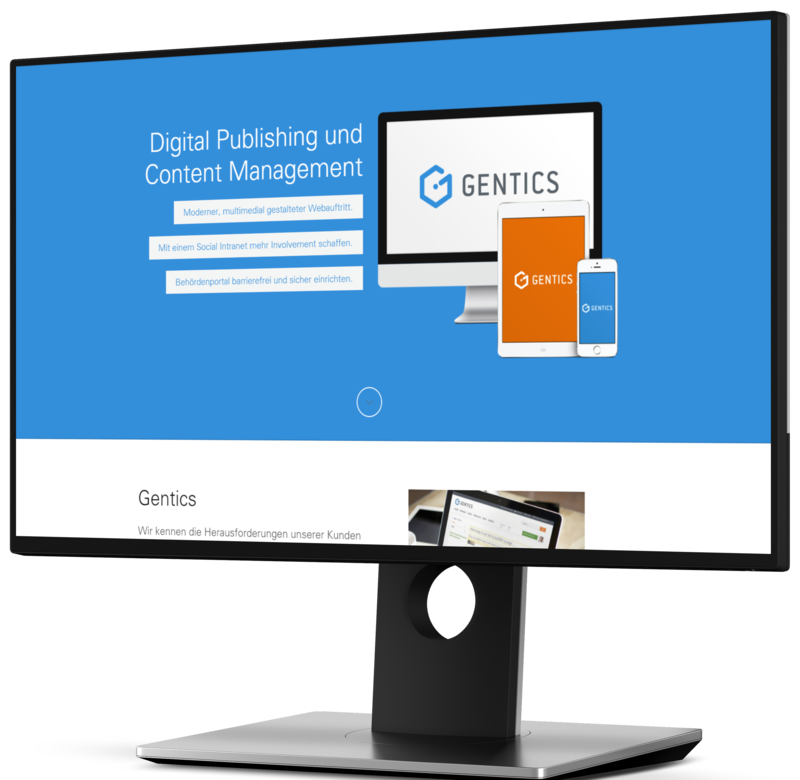 The content templates created and managed in Gentics CMS are rendered directly in the portal using the template engines Handlebars or Blade. With Gentics Portal as the frontend and routing framework, you can implement your own portal applications and widgets, or simply customize existing ones yourself. Easily expand your web platforms as needed with additional offerings. We offer Gentics Portal based on two different web technologies: Gentics Portal | java, which builds on the Eclipse Vert.x framework, and Gentics Portal | php, which uses the PHP framework Laravel. But you can also use other common web technologies such as Angular or React to implement your own components to expand your online platforms. Gentics Portal enables the visualization and seamless integration of online content and services from multiple sources. Personalized and secure delivery of information based on portal visitor preferences or editorially maintained metadata. A variety of interaction options improve the user experience and increase the time visitors spend on the portal. Add new portal applications and widgets to your web platform as needed.